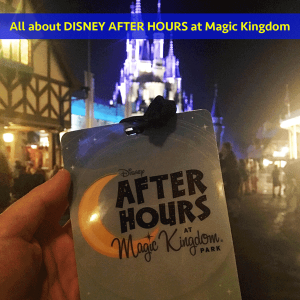 Disney After Hours is a private event at Magic Kingdom offered on select dates. It's not cheap, but it might be worth it for many people. Here's info on what it is, how much it costs, who should plan to attend, and a suggested itinerary if you plan to go. 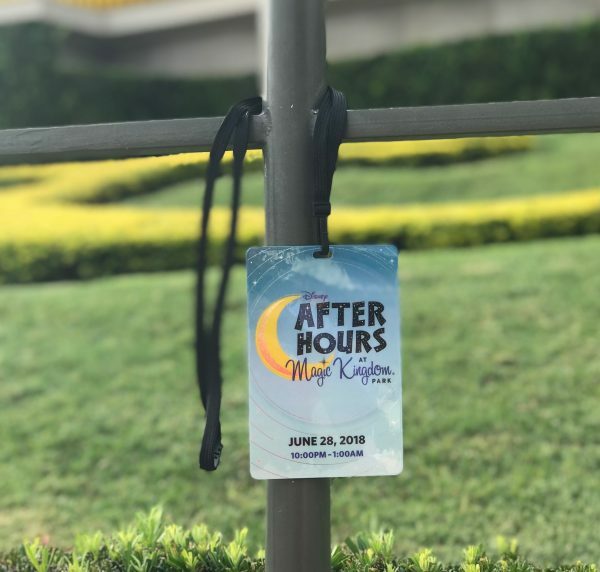 Disney After Hours is a separately-ticketed event (meaning it's a ticket that is purchased separate from regular park tickets) that allows people to enter Magic Kingdom at 7 p.m. and stay until midnight or 1 a.m. (ending time varies by date). 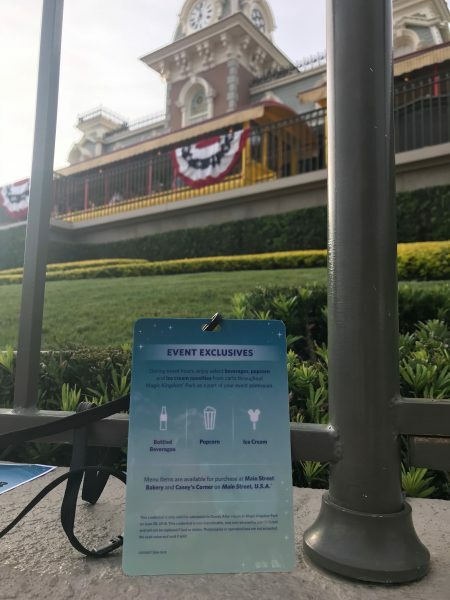 Like other separately-ticketed events, you'll be able to enter before the official party start time and there will be a Cast Member at the front of the park with a sign directing guests where to go. You'll scan your MagicBand or ticket and receive your special "After Hours" lanyard at that time. 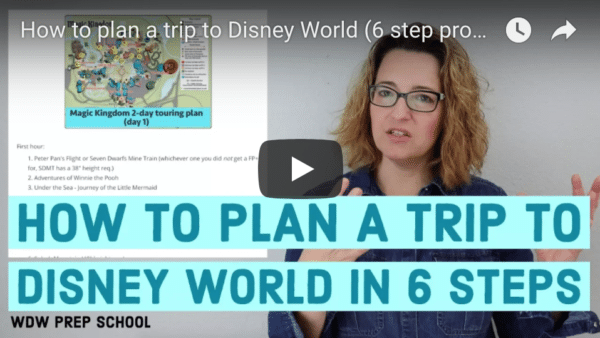 Already planning to be in Magic Kingdom? No worries. You don't have to go all the way back to the front of the park to check-in. 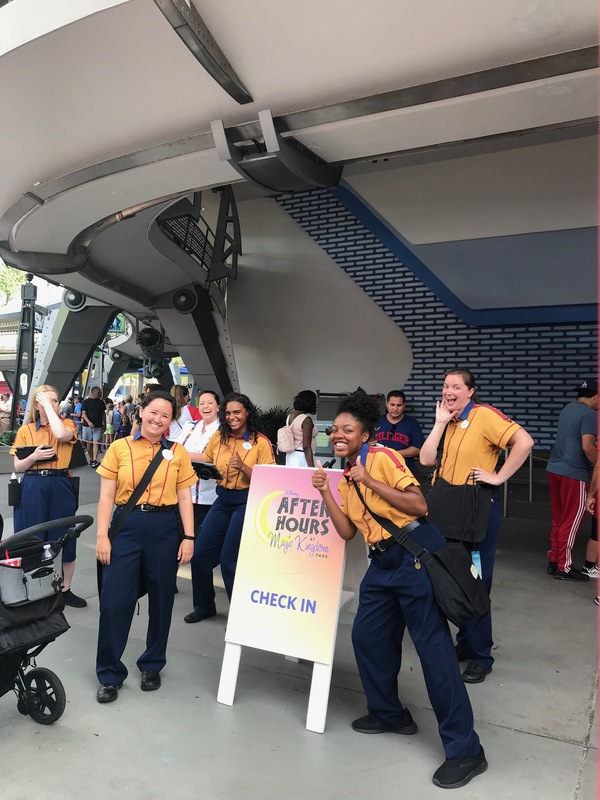 You're able to pick up your After Hours lanyard at stations in the park, like this one in Tomorrowland. There are a limited number of tickets sold which means one thing: no waits. Seriously, the park is almost empty and kind of eerily quiet. And you can walk on rides, meet characters, and enjoy treats and bottled beverages (they're included with the ticket!) as you walk through the park. Though the ticket allows you to enter at 7:00, the event doesn't begin until 9:00 which means you can do things between 7 and the event starting time that aren't available during the party. Most importantly, that includes fireworks and attractions that won't be open during the event. You'll find that most of the regular Table Service and Quick Service locations aren't open (although there will be a couple spots like Main Street Bakery that are) but that may not be necessary since the event includes unlimited ice cream treats, popcorn, and bottled beverages. You'll typically find these at the carts and kiosks spread throughout the park so if the line looks long at one it might be worth it to hold off and try the next one you come across. 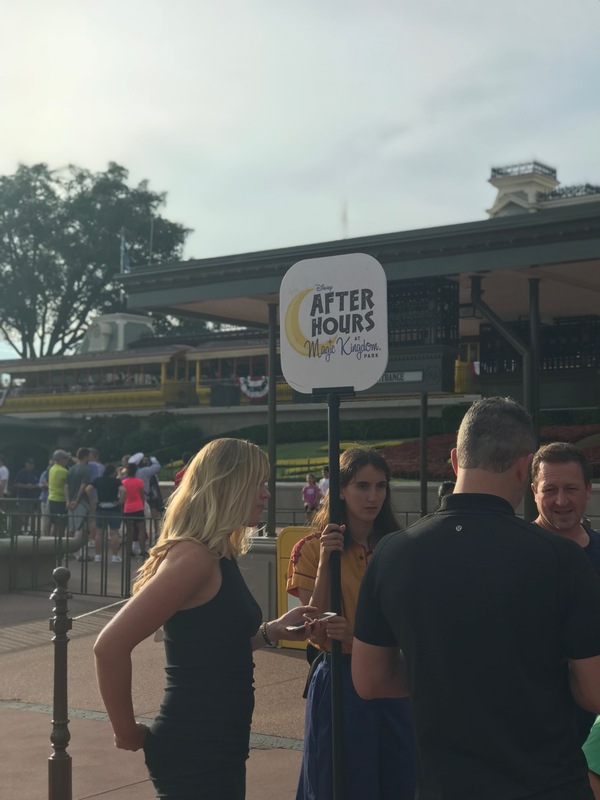 The time for each Disney After Hours event at Magic Kingdom depends upon the date (as shown below). 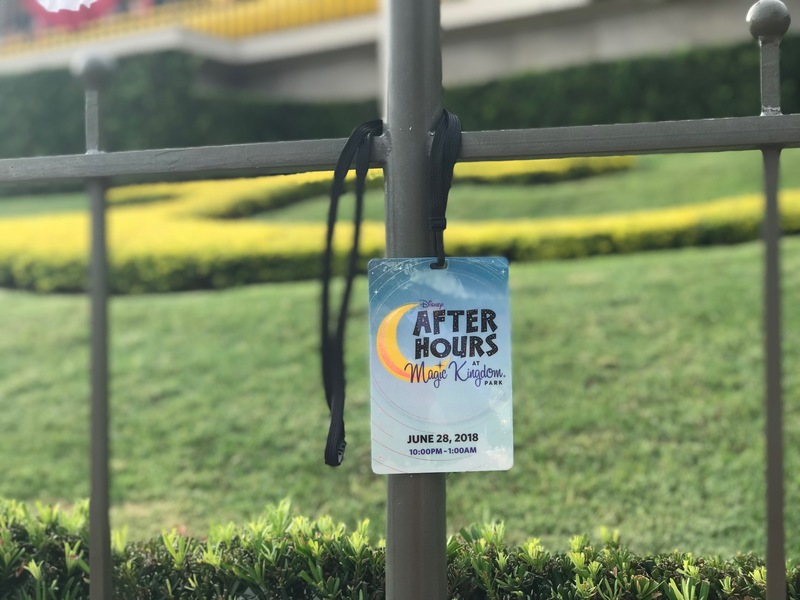 ¹event takes place from 10 p.m. to 1 a.m.
³event takes place 8:00 p.m. to 11:00 p.m.
Definitely the main focus of Disney After Hours is the ability to ride lots of attractions and see some select characters with little to no waits. As you can tell by the list below, the majority of the park will be open making it easy to see and ride all of your favorites. *Peter Pan's Flight will be under refurbishment and NOT open on January 7, January 17, and January 24 in 2019. New advanced purchase price for tickets to this event are $125 (same price for adults and kids) so it isn't cheap, but might be worth it for many people. If available, same-day tickets are $129 plus tax. Annual Passholders and Disney Vacation Club members can purchase tickets for $95. You can purchase them from a travel professional like the agents at Perfect Story Travel. Just indicate in the notes field that you'd like to buy Disney After Hours tickets and one of the amazing agents there will get back to you ASAP. Or, if you'd rather, tickets can be purchased online or by calling 407-827-7185. Although the price sounds high for just 4-6 hours in the park, I'd suggest it does make sense if you think of it in terms of number of attractions rather than number of hours. You can get more done at the event than you could in a whole day at Magic Kingdom. For that reason, I'd highly suggest it for people who have short trips and want to fit in as much as possible because it's a really great way to do that. Here's how I'd plan to spend time at this event. Arrive at Magic Kingdom just before 7:00 so you can enter the park as soon as you can. Visit any attractions that won't be open during the event. Spend most of your time visiting attractions and meeting characters, picking up snacks at kiosks throughout Magic Kingdom as you go. Grab a bottle or two of beverages to take back to your hotel. Have a PhotoPass photographer snap your pic on Main Street on the way out. Gotta take advantage of having almost nobody in the park to clutter up your photo! For a limited time, Disney After Hours at Magic Kingdom is going a bit more...sinister. NOTE: One thing will NOT be available, though: special villain character meets. And, for added fun - much like with Mickey's Not-So-Scary Halloween Party, for this special event guests are encouraged to "feel free to show off [their] sinister side by dressing in attire inspired by [their] favorite baddie." $139 (plus tax) for tickets purchased in advance. $144 (plus tax) for tickets purchased on the night of the event. Discounts are available, though. Guests that have Annual Passes or are members of Disney's Vacation Club can save $30/ticket (making the total with discount $109 plus tax). Tickets for this new offering go on sale April 29. Can't decide which paid event to do? Here's a comparison chart to help. Do you guys think they will offer this event in May? How far in advance do they release the dates that After hours will be offered. We will be there in March 2019 and is love to get this. It sounds amazing! Can I subscribe to something that will give me alerts when after hours or early morning magic becomes available? I just wanted to let you know that this past Saturday I was in line at 5:55 pm and they let us in at 6 pm. We had an amazing time but at 12 midnight 7DMT still had a 30 min wait. Does Disney still run buses/monorail back to your resort when the event ends? I’m looking at July 28, which ends at 1am. My family and I will be on vacation in Daytona Beach and we want to do this the night it’s offered while we’re there. Do they mail you the tickets for this event or do you have to pick them up at the gate? Re: Fastpasses – use them for the time period between when you enter and the event starting. Probably only works if you aren’t visiting another park that day. Kevin, the fastpass situation…My 60 days is approaching, we are doing a resort only stay at the Polynesian and I wanted to add after hours tickets. If I buy before my 60 day mark am I able to book those fastpasses on that 60day? Kevin, are you a passholder? I asked about booking fast passes before and they said that the system would not allow it. I took my family to this event in March 2018 and it was amazing. You cannot imagine how few people there are walking around…it is almost weird, but great to go from ride to ride unimpeded. The longest wait during the event was for Pooh and Pan because of how slow they load, but even they were only 10 minutes. One thing we did not know was that we were able to book 3 Fastpasses for that day once we ordered our tickets. You’d presumably be able to do that once you got within the normal window for the summer events too and is a nice bonus. Tip – bypass heavy main street crowd at entry by riding train to a station near your first Fastpass area. Any chance they’ll announce more dates for September? There are no dates during our next trip. I’m so bummed! ME TOO! I am there week 2 and 3 and this would be a great anniversary gift for me and the hubs. The event that I want to attend starts at 10. Can you still enter at 7 or is it 8 that night? 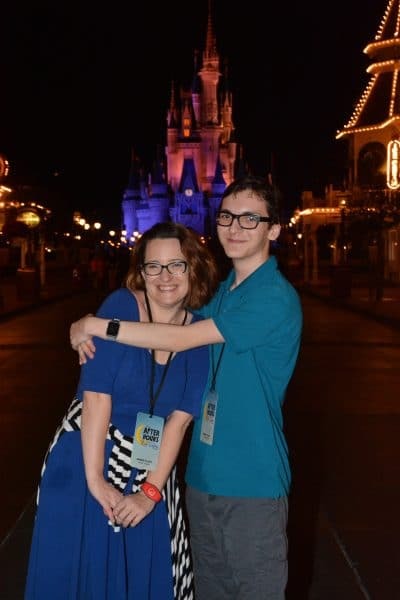 Is there still magic hour dates as well for guests that are staying @ a WDW resort? We attended After hours just this last January and it was the best thing ever! I want to go Jan or Feb 2019 and plan around an after hours night. When do you think they will announce dates for 2019? I called about the AP discount. Guest services said anyone holding a discounted ticket must also have a valid AP assigned to them. So, I couldn’t buy discounted tickets for members of my party that are not AP holders. In order to get the discounted tickets for the after hours party, only one member of the party has to be an AP holder. 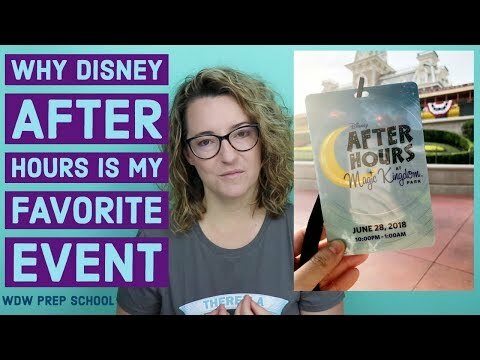 Is there any special merch for sale during the After Hours, any special maps, etc for scrapbooking? Also, is there a limit to the snacks and drinks? No special things that I can remember, and no limit to the snacks/drinks. Stop at every kiosk if you’d like! 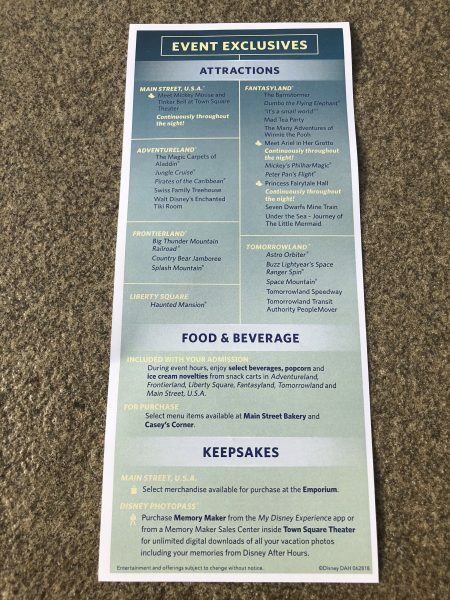 I see a lower ticket price for annual passes listed but am not clear if everyone buying a ticket would need an annual pass for the discount or just the person doing the purchasing. Hello! I’m wondering if you recall how quickly these sold out last time or if they sell out at all? We are going back and forth and wondering if we can make the decision to go the week we are there. Thanks! Okay, so I have seen conflicting things about how early you can enter the park. Some people claim as early as 4? Is that possible? Some separately-ticketed events allow you to enter at 4:00, but this one is 7:00.